The dropping temperature means I get bundle up though! I have a whole wall built out in my closet just for my range of thin-to-thick scarves. It's a bit on an addiction, actually. A red, green or blue scarf often adds a kick to my ever-neutral wardrobe, but not today!! I'm keeping it ever classic and completely neutral. I started with grey (of course) with this Wings & Horns tee. It's marled and fits like a glove! 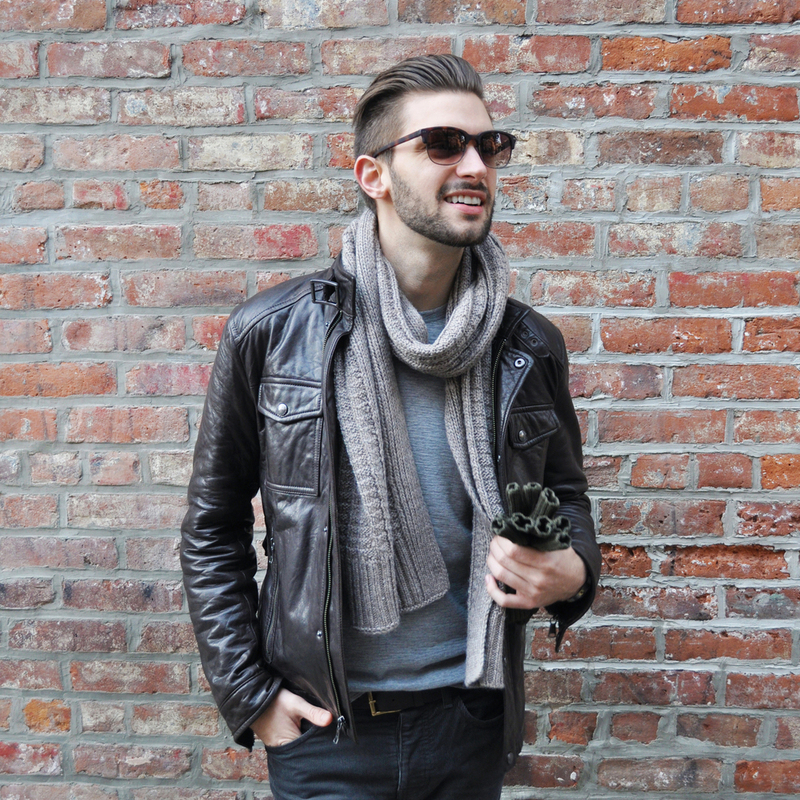 I layered on a leather jacket, and this chunky neutral scarf is just the right textural contrast to pull everything together. A soft cabled knit with sleek and shiny leather. 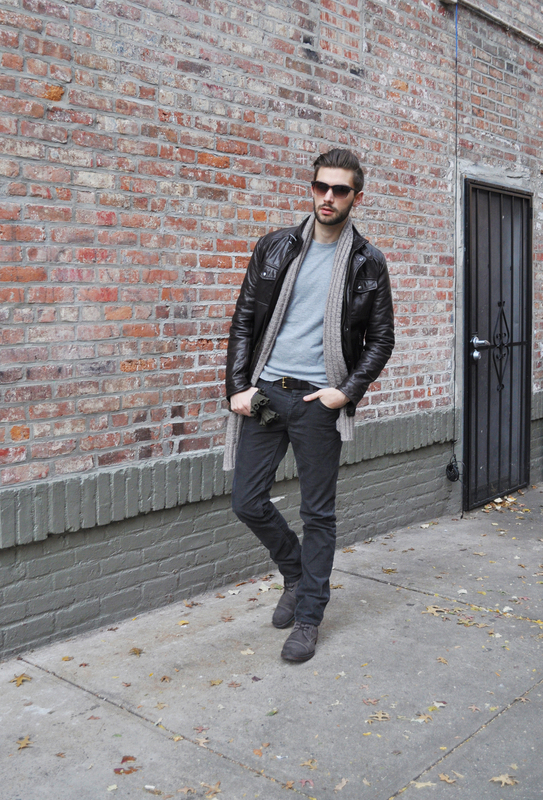 It's important to have varying textures when layering up this Fall. It adds dimension and visual interest. Picked up a few more scarves while I was out and about too... Gotta feed the addiction! What Fall activities are you getting in before the Winter hits?